One of the Democratic primary candidates made an incredible, exciting announcement that just might catapult him to the front of a crowded race: Cory Booker just pledged that if he gets the 2020 presidential nomination, he’ll pick a running mate who could be played hilariously by Kate McKinnon! This is huge. 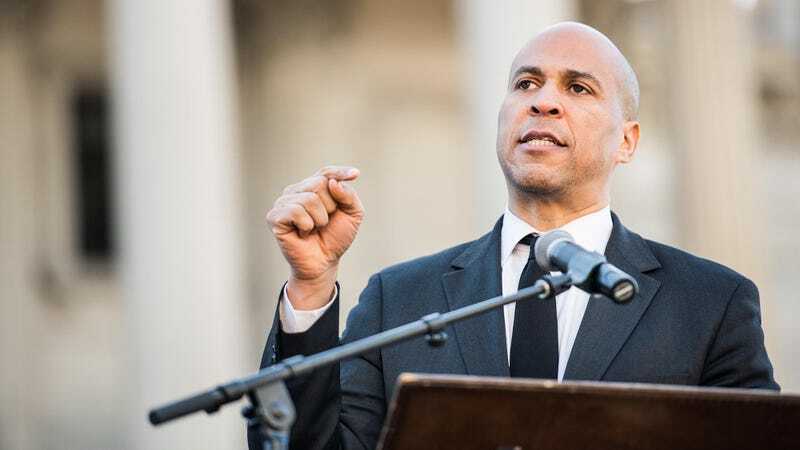 As of right now, Cory Booker is the only Democrat in the race who is stepping up and making Kate McKinnon’s unparalleled talent for mimicry and physical comedy a priority for his campaign. Booker first laid out his thrilling vision for the next four years of SNL at a town hall in Newark, where he said he was “100% committed” to choosing a running mate who “either straight-up looks like Kate McKinnon or is the kind of small, weird character that you just know Kate would absolutely nail if she put on a funny wig.” The announcement was met with nearly a minute of enthusiastic applause. Wow—it sounds like Cory Booker is definitely the real deal. This latest policy initiative could be a major draw for that crucial block of voters who feel like no candidate has yet to offer them a laugh-out-loud alternative to Alec Baldwin’s totally spot-on impression of Donald Trump. Since his announcement, Booker’s website has already been updated with a list of criteria he will use to select a running mate that he sincerely hopes will win Kate McKinnon her third Emmy, proving that his promise is not just empty words. Booker’s plan truly takes all fans of Saturday Night Live into account, prioritizing potential VP candidates with wives who look like Maya Rudolph on behalf of citizens who hope to see an old SNL cast member do a cameo in 2020, as well as candidates with goofy sons that Kyle Mooney and Beck Bennett could play for all the comedy nerds who love their off-kilter comedic sensibilities. Impressive. With this bold endorsement of Kate McKinnon’s character work, it looks like Booker may have really found the cornerstone issue of his campaign. There’s no doubt other candidates will soon be forced to detail their own plans to turn SNL into must-see TV this election season, so be sure to keep an eye on the news as the race to the White House heats up!